Tienda de Menorquinas de Piel Metalizada espejo. 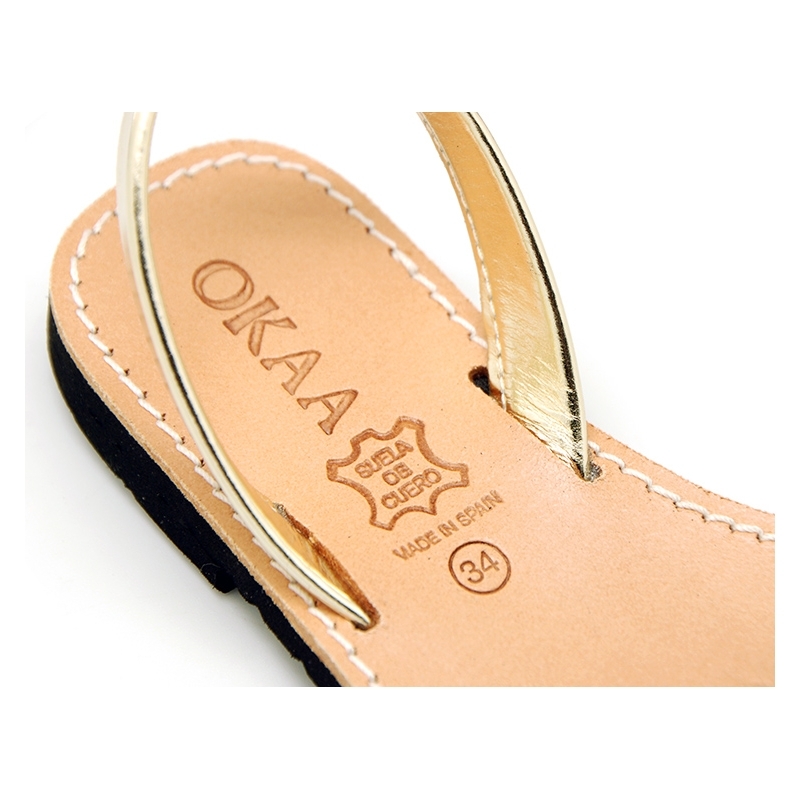 > Toddler girl>Avarcas from Menorca>New Metal finish leather Menorquina sandals with mirror effect. New Metal finish leather Menorquina sandals with mirror effect. 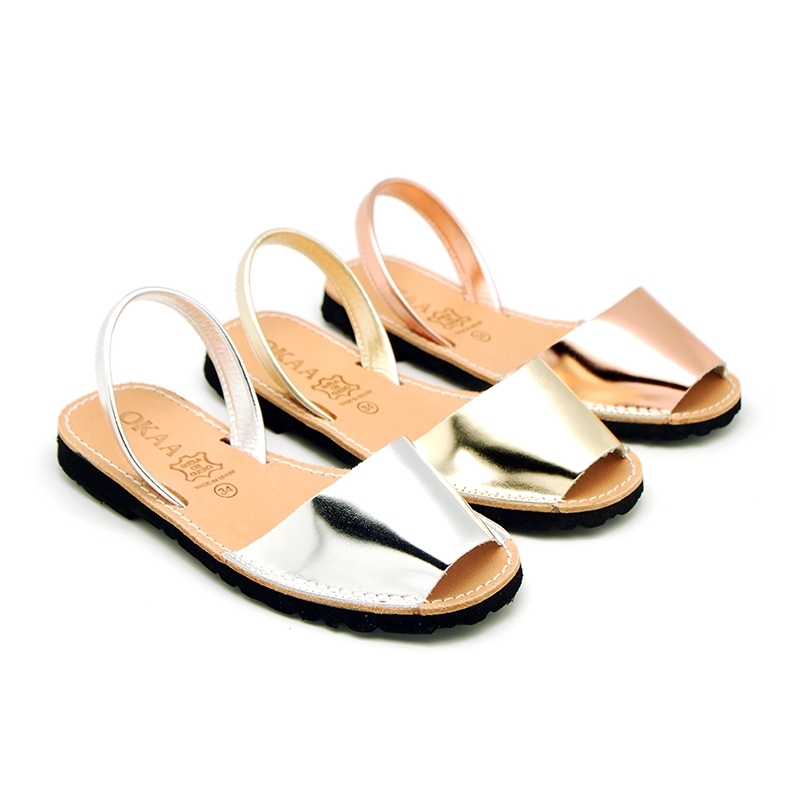 New metal finish leather Menorquina sandals with mirror effect. SIZING LARGE. More info about New Metal finish leather Menorquina sandals with mirror effect. Updated traditional Menorquina, also known as Ibicenca or abarca in Spanish, in metal finish leather with rear strap and mirror effect for toddler girls and mums too. Made up of 100% high quality nappa leather with metal finish and very shiny finsh like a mirror. A must-have of the summer, fully updated and renowed. Very classy, different and very comfortable. Metal effect is very trendy this next spring summer. With halter design to make it more updated and chic. Fully lined in leather. Insole made up of 100% LEGITMATE leather as well, for a good perspiration of their feet. Outsole made up of non-slip high quality white rubber. Non slip Soles and totally flexible in order they can learn to walk without problems. We have up to size 41 available for mothers too. SIZING LARGE, we reccomend to choose a smaller size to regular one. Available in 4 colors. Sizes Range: from 34 Euro size upt to 41 Euro size. Data sheet about New Metal finish leather Menorquina sandals with mirror effect.